Notes: Very interesting looking crab note the long legs and arrow shaped body often with brilliant blue bands. 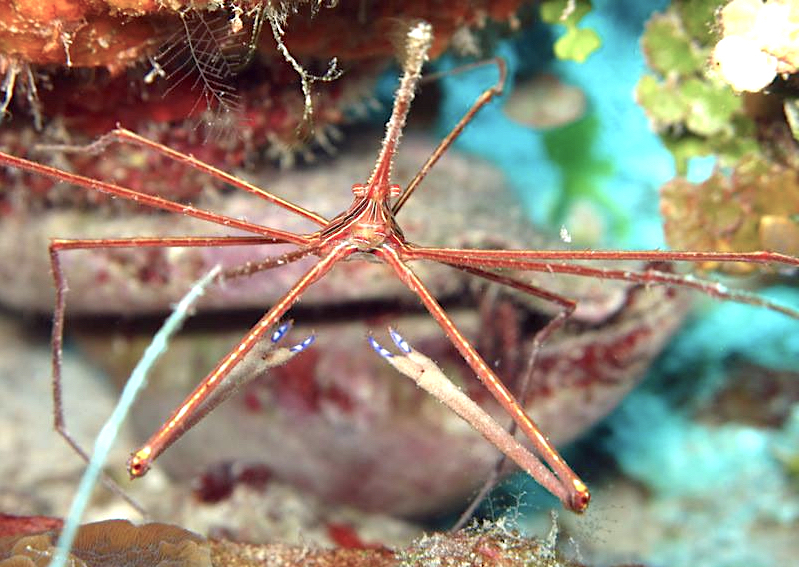 The Arrow Crab may attack small fish and shrimp for food and will eat just about anything presented to it. Most common purpose in the aquarium trade for keeping populations of bristle worms in check as bristle worms are one of their favorite foods.